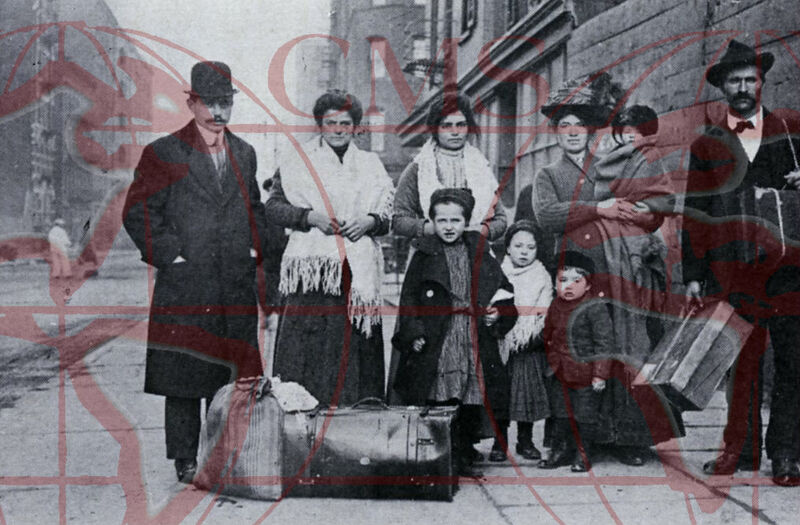 A photograph of Santa Giuliana Giovanni and his family alongside an additional Italian immigrant. Maria Corona obtained from the Center for Migration Studies. This particular website concentrates on the strenuous journey that Italian immigrant children of the 1900’s (most specifically, “The Lost Children of Ellis Island”) had faced when making their way to America. While some immigrants made the trip in hopes of living the American Dream – life, liberty, and happiness – many immigrants contracted illness on their journey, passed away, and even got separated from their loved ones. Children were therefore left alone in a new and foreign country with no guidance, unable to speak the common language of the area, and with no place to go. Places such as The Saint Raphael Society were then established in order to look after these orphaned children and ultimately tried to raise money for those immigrants who had no choice other than to return back home to Italy. As mentioned earlier, while some immigrants simply got separated from their families, others contracted illness which significantly took a toll on their lives as well as the lives of the loved ones around them. For instance, pictured left is a photograph of Santa Giuliana Giovanni and his family alongside an additional Italian immigrant, a woman named Maria Corona. Santa ended up contracting Tuberculosis throughout the course of his journey, which left him unfit for working the laborious jobs that were available in America. Due to the fact that his children were so young and that he was so sick, the Giovanni family needed to make their way back home to Italy to live a life with their extended family in hopes of survival. The Saint Raphael Society helped the Giovanni family with their journey back home. In conjunction with Center for Migration Studies, the contributors of this website seek to promote understanding between immigrants and society at large as well as educate viewer to connect with the past. This entry was posted in Center for Migration Studies (NY), Exhibits and tagged American Dream, Ellis Island, Immigration, St. Raphael Collection, The Lost Children. Bookmark the permalink.